Go on a blind date with a twist at Backyard, the anti-café in Gandhi Nagar, Adyar. Done in honour of the recently concluded World Environment Day, walk in to Backyard at any time and meet your date. After which you take them home to plant him/her in your garden! Confused? 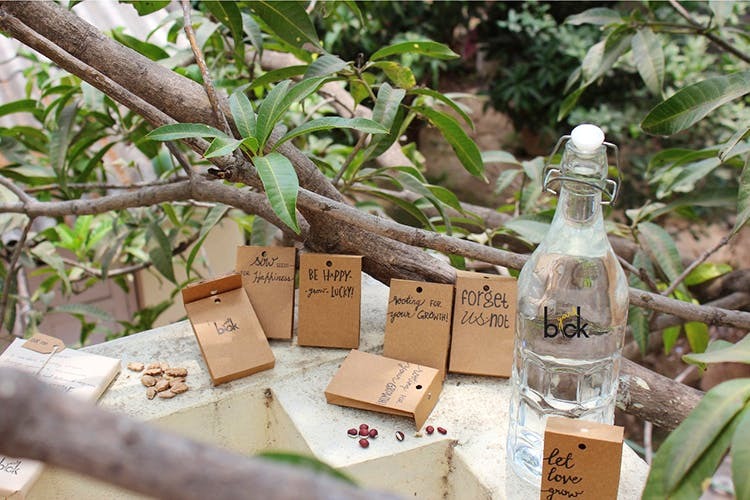 So for World Environment Day, Backyard is selling plant seed packs that are easy to grow in your kitchen garden. The only catch is that you don’t know what plant you’re growing until it actually grows! Each pack costs INR 90 and has varieties of plants that are easy to grow in any kitchen garden. All you need is a pot, some mud and water, little bit of sunshine and plenty of love and attention. In exchange you’ll have anything from fresh tulsi leaves to yummy tomatoes! We thought this was a really cool concept and if you are someone who loves gardening or is environmentally conscious, don’t forget to check this out. For more info, check out their Facebook page here.